Santiago Carbonell is a Spanish artist who emigrated to Mexico in 1986. 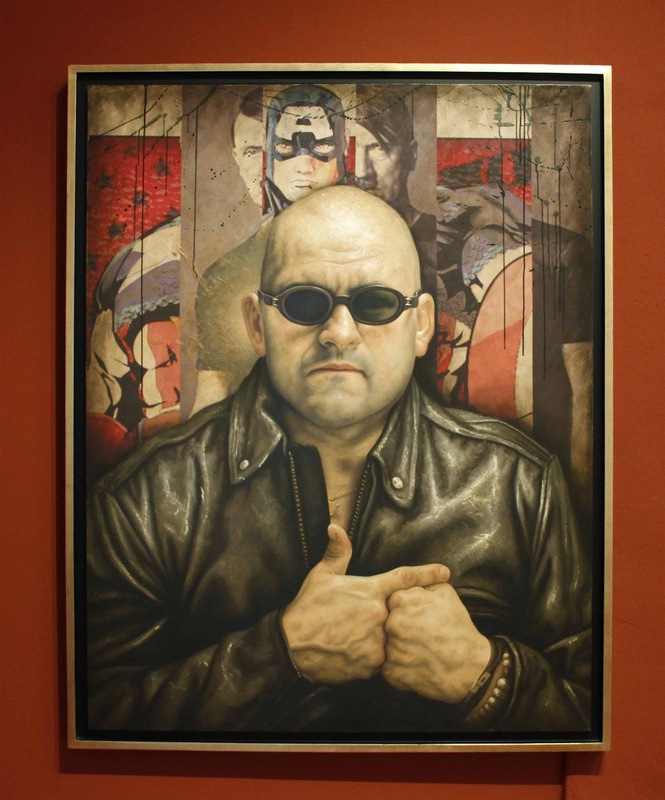 Carbonell started painting with nineteenth-century realism and has now moved into the field of "modern" photorealism. 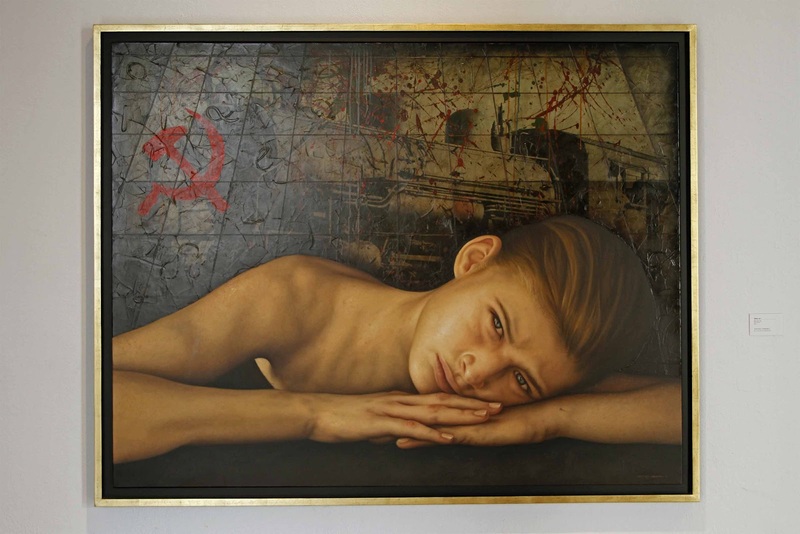 He has mentioned that his work has evolved from the Renaissance tradition, in which technique and perfectionism are important to contemporary realism. The work of Carbonell catches with true virtuosity the texture of the skin, the spirit, the expression and the feeling. His nudes charge a very intense life. 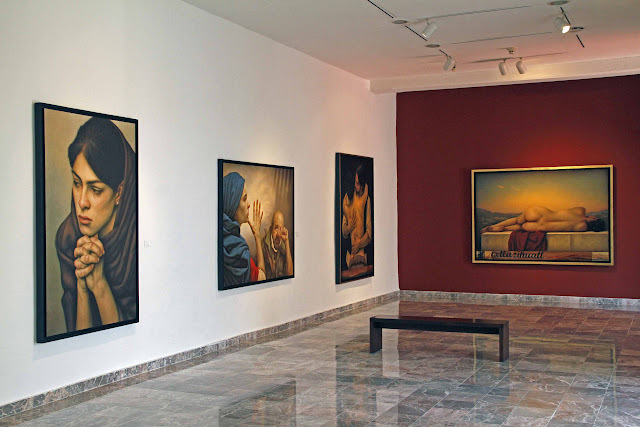 This collection of Santiago Carbonell called "the disenchantment of beauty" is on display at the Museo de los Pintores in Oaxaca. The collection shows the evolution of Carbonell in recent years. This collection includes the most recent works in which the author shows a sensitivity of beauty that shifts to disillusion, of nights of urban silence to the passivity of sands of the desert of Tunisia. From the beauty of the eternal feminine that vicariously evokes 15th century, Madrid, to the young revolutionaries of the 21st century, struggling to change a world dominated by a minority elite, the iconography of Carbonell shows the possibility of how good and evil can coexist, making these come alive from his painting invites us to reflect, to and think.